In our continuing series of 47 films to watch before you are murdered in your dreams, we look at the under-rated Big Bus. There have been films about big airplanes. There have been films about big boats singing. There have been films about big buildings burning. There have even been films about big German balloons bursting. But there has never been a film about The Big Bus! The year is 1976 and disaster movies are at their height. 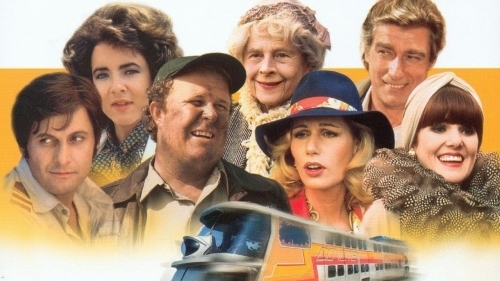 But The Big Bus comes out to terrible reviews and is itself a disaster, with critics and audiences both, but I would say that this films stands comparison with the great Airplane (1980) as one of the best examples of Hollywood parody ever made. The passengers board the big bus with their own baggage – a warring couple, a doubting priest, a defrocked vet, a man with six months to live. Add to this a bomb on board and the fact that co-driver Shoulders (John Book) is not called shoulders because of his physique but because he drives on hard shoulders, and disaster is waiting around the corner. Some cracking visual gags and a witty script along with cameos from Ned Beatty and Larry Hagman and the best cocktail pianist in the Oriental Lounge make this a criminally under-rated and under-appreciated film. Watch it now. Or die trying. For more of our 47 Films Click Here.